Now, whether you are “into” goddesses or not, just imagine these goddesses are really metaphors for the lessons they offer. In this case, because Rhea’s name means “ slow and ease” although, in her myth, she experienced many hardships as a primordial goddess who gave birth to a big part of the Greek Pantheon. What her story shows us is how no matter what happened, she was able to flow around obstacles in a very resourceful way with positive results. Love your new deck of Goddesses! Your readings are so special I am grateful to you! Muah!! The Goddesses are gorgeous! Very gentle, energy deck. Bravo, Mamma! Bravo. Thanks, Colette♥️ Goddess Rhea’s message is a timely one for me, as I’m preparing to navigate uncertainties and responsibilities with aging parents. What a beautiful message for this week, thank you! Colette, I just wanted to tell you how much I love you and how thankful I am for all of your teachings. My brother in law just lost his son and this has opened his heart to seek other truths in life and he asked about oracle cards (surprise). Anyway we bought him your Enchanted Map deck and I know this will open his life up to new possibilities and wonder. Thank You!!!! I am very new to your site but have watched you many times on tv ! You are amazing 😉! Thank you for your special weekly readings as they are so Uplifting and positive which help me to get more focused and keep my Faith! Your oracle decks are beautiful I just wish I knew how to use them, I am interested though in your Goddesses deck as I love Angels etc….. 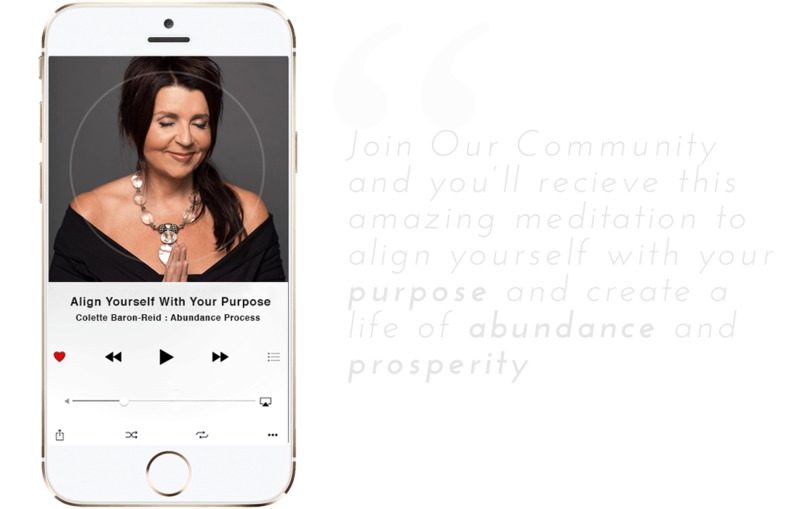 I am so grateful for stumbling onto your App as it has brought me to you! Thank you for the time you give us each day and each week with your cards and readings. I look forward to them and appreciate each and every time. Sometimes I have to reflect on how accurate they are as to what is actually happening around me. I’m having a super hard time trusting/having faith in life with all the rocks in my flow these past few years. Love your decks and your readings. I have a question. But first. You have a beautiful gift. I appreciate you and your work immensely. Can I get certified in Oracle card reading only. I see the certification program but I am not interested in Tarot and while there crossover, i preder to focus on the Oracle readings. hi Paula I think you can choose your modality if you are talking about the hay House course with 6 teachers? In my school.. you only use oracle cards. Okay I requested to be part of your school. Let me see if I missed something. And yes, prefer not to do Hay House certification across modalities. Thank you. I have several of your decks. I love your teachings. Your a blessing to me. Can’t wait for the Goddess Oracle deck to arrive! I’m looking forward to it, and I loved the 4 part webinar HayHouse offered. On a side note, you mentioned having something like 10 oracle ideas in the works. I hope some of them have gold edges again! I know some complained it makes them stick, but going through the deck twice and unsticking them always works for me. Since you brilliantly number the cards, this makes it easy not to have missed one, and it’s easy to look up the meanings! Love that!!!! If people knew it takes little effort to unstick them, I think they’d be more on board with gold edges again for the decks you see fit of course! All your decks are gorgeous regardless! I love and have them all! Much love! So excited to have found your work! and to see things from a metaphorical perspective rather than to intellectualize everything and try to analyze its significance. Hi Colette — I relate so deeply to your wonderful blog post. My entire life has been a struggle! Things have not changed in this department but I have learned how to handle it better. Until I became enlightened, which your teachings and card decks helped immensely with. I used to be a panic attack hysterical person and a pity party hostess. Now I just use your oracle card saying “just breathe”, at the start to my drama trauma. Then next I say to myself, “it could be worse, you got off lucky”. I have found that by saying you got “lucky” buffers the misery because if you look at all things involved, I am sure you will find that it could of been worse in almost all bad situations. These words also change the mindset ,which also helps you to deal better with the situation. As you associate the words “lucky” and “could be worse” to mean good things. sounds like you found a way around like Rhea! I so enjoy learning about the goddesses & their stories. I am keeping a journal of each goddess you speak about. I enjoyed doing the dominant energy quiz today. I am learning so much from you & the programs you provide. Can’t wait for Level 2 of OS to begin! Thank you Colette! thanx Kathryn if you have the app there is a bonus section with the short history of their [email protected]! I am looking forward to your Goddess Oracle cards! They are beautiful (like your other decks). Anyway, this message could not be more meaningful at this time of my life! Because of my really bad back, I have lost the ability to walk due to the nerves in the lumbar area. It’s been very scary but somehow I manage to push through. This message gives me more strength & faith!!! Thank you so much! you can get the iPhone app now! Feb 19th its available everywhere!! Thank you for making so much of your wisdom available, including those of us on very fixed incomes. I was able to purchase the Mystical Shaman Deck and i love, love these gorgeous cards. Saving now for my next Deck and its so hard to choose. Thank you so much for sharing your wisdom, including those of us on fixed incomes. I was able to buy the Mystical Shaman Oracle Card Deck, and it is absolutely gorgeous. I’m saving for my next Deck and it will be so difficult to choose. Is there a YouTube review for the Goddess Deck? It would help to see more of the cards. Many Thanks! Hi Colette. This is just what I needed to hear. I have been so overwhelmed at work recently. Instead of focusing on all the obstacles (rocks), I need to have faith that miracles do indeed happen and I will make it through whatever happens. Thank you for reminding me that my Higher Power has my back and will show me the way! Thank you for “how to get in the flow”. I have been stuck for a few days now and unsure how to proceed in my journey. As soon as you asked whether we were concentrating on the flow of the water or fixated on the rocks and obstacles, I knew. I love the rocks in the water as they shimmer and come to life, but that is all that I was seeing! Time to get back on track. Thanks again Colette!! My names Geraldine & I’m from New Zealand. Your teachings have given me so much confidence & a greater understanding of oracle cards.